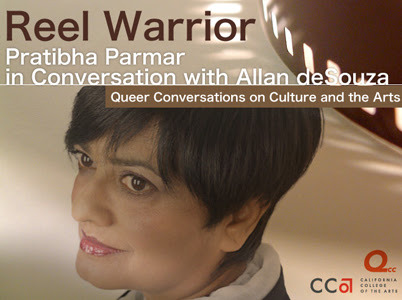 Pratibha Parmar is a international filmmaker known for bringing complex subjects into mainstream media and helping to shape the popular discourse on race, representation, sexuality, and creativity. She will discuss her 20-year film career with UC Berkeley professor Allan deSouza, a Nairobi-born photographer and multimedia artist whose work considers issues of migration,relocation, and travel. Co-presented by Queer Conversations on Culture and the Arts (QCCA),an alliance between the Queer Cultural Center (QCC) and the programs California College of the Arts (CCA).